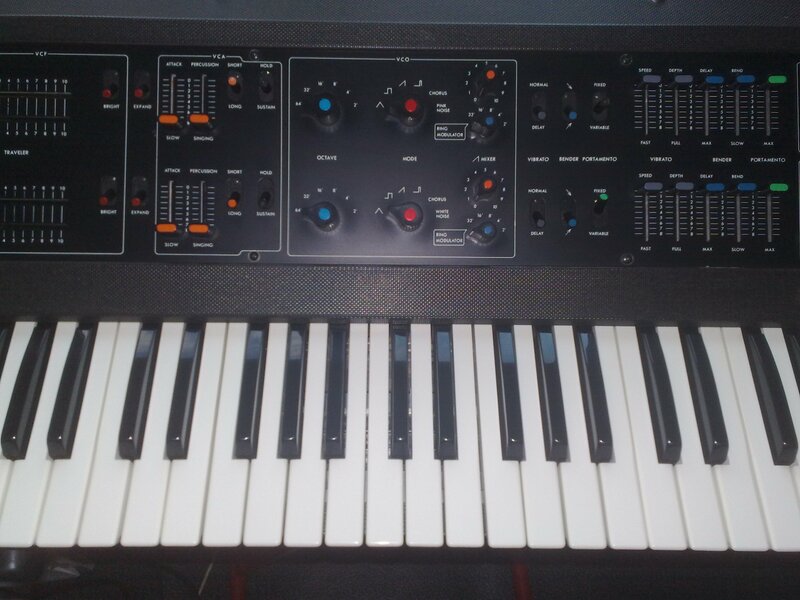 For Sale: Korg Maxikorg 800 DV - Completely Serviced. Offered is the Korg Maxikorg/DV800. 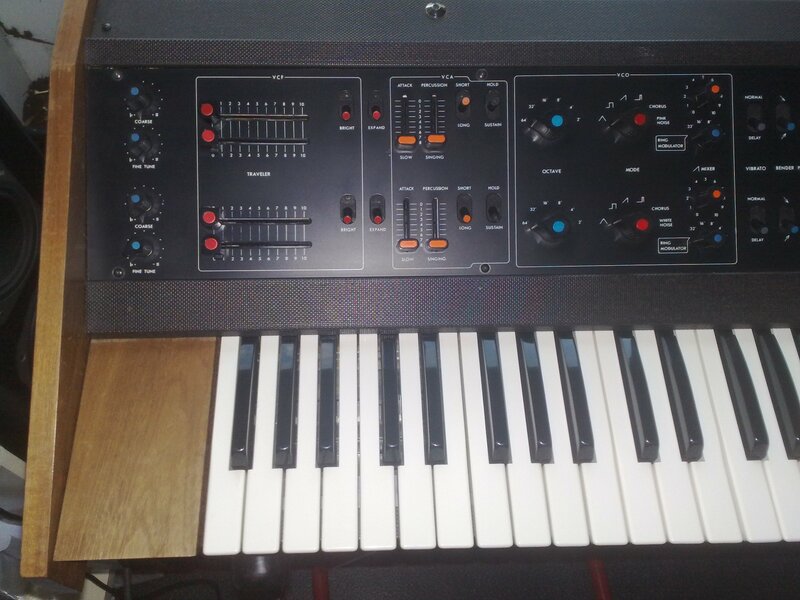 This incredible duophonic analogue synthesizer is in excellent cosmetical and mechanical condition. The wooden panels look very good, only on the back of one of the panels two small chips are off. The front panel has no scratches or other marks. It has all the original knobs and sliders. All the lines and other descriptions are still there, except for a few fading lines at the volume faders. Also from three switches the coloured inlays have gone. The keys have been cleaned thoroughly and are in great shape. Mechanically and electronically it is in superb condition!! Also this Maxikorg has been fully serviced (check certificate). More about this Synth on VintageSynth. All pots, faders, key contacts, inputs, outputs are cleaned and treated, and a complete recap was done (replacing of the electrolythic capacitators). After the recap the Maxikorg has also been calibrated so it's perfect in tune. It has an extremely good tracking of the VCO's. The high and low tones stay in tune almost infinite. For more info check the certificate. This Maxikorg can be used professionally with confidence! For more info on the service check the certificate. Included are a printed manual and the original certificate of the service. It works on 220 V.
Service is done by Marc Marc Amsterdam, known as an expert on analoque vintage synth's and a designer of analoque applications. Check him out. These three pictures are showing you some of inside of the Maxikorg. 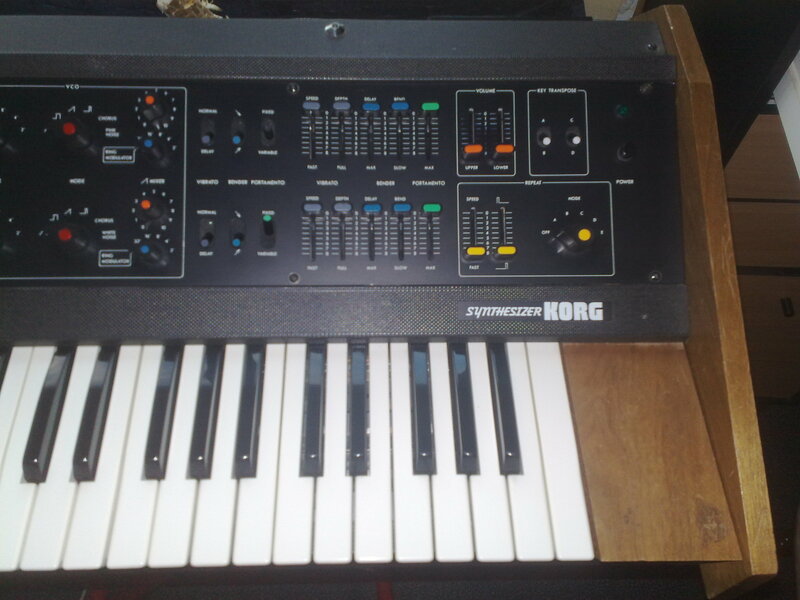 1) The Maxikorg under service with at the background two KORG PS3200 synth's in service at the same time. 2) Through the years most vintage synths collects a lot of dirt and dust. The sliders and pots starting to become scratchy. When serviced everything gets cleaned - both the outside visible dirt and the inside. Several techniques are used to get them working again. 3) This pictures shows you a full recap that was done. Nothing from this publication may be copied without notice from the publisher.